My video editing learning curve feels like a very steep climb at the moment. However, it is only by exercising that we can strengthen ourselves. 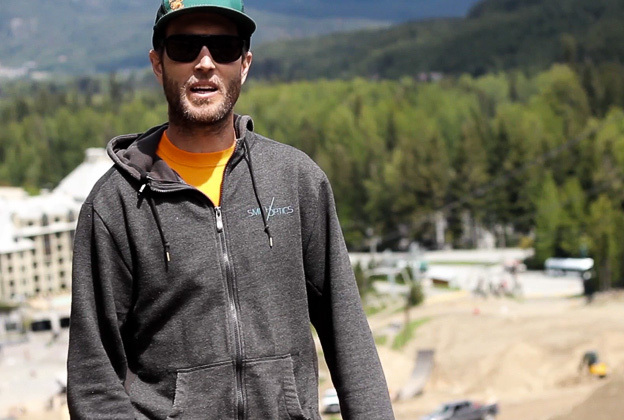 Last week I visited Paddy Kaye, the man responsible for building the Joyride Crankworx slopestyle course in Whistler. While he walked me through this years course I hobbled around and made a shaky video for NSMB.com. The editing was fun because I had a really clear idea of how I wanted it to end up before I even took off the lens cover. It wasn’t rocket science I have to confess but it was a great opportunity to find out more about Paddy and his work, and experiment more with Final Cut Pro. June 18, 2012 in NSMB, VIDEOS.